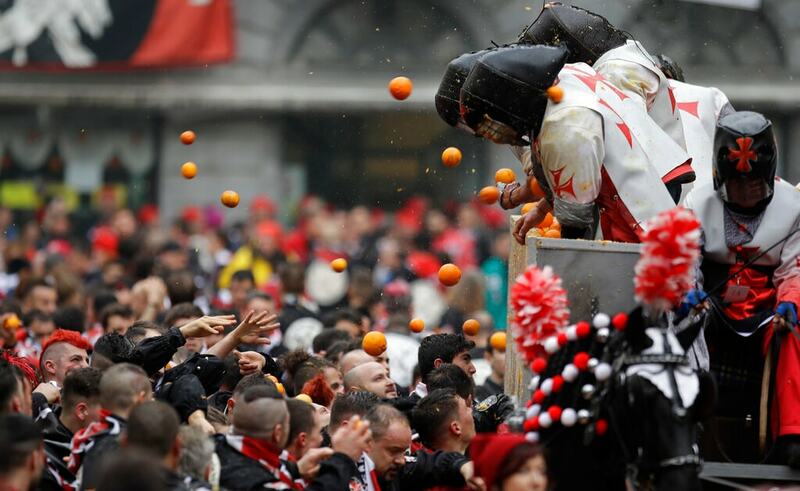 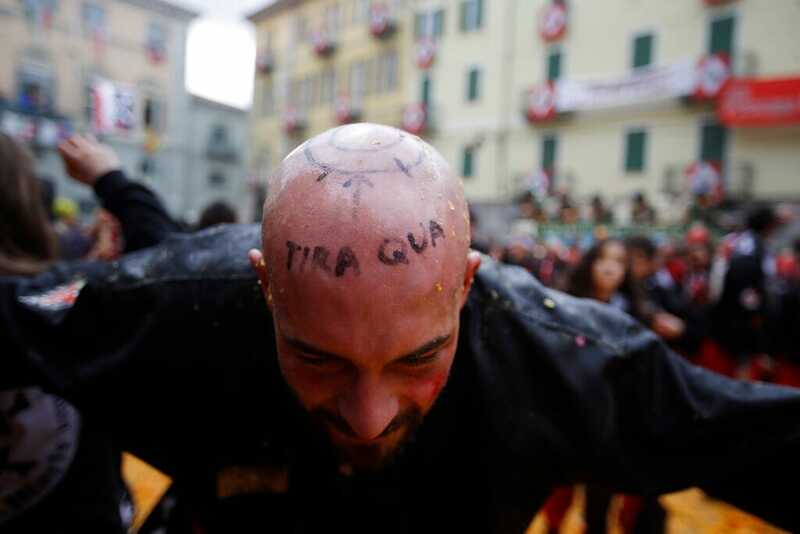 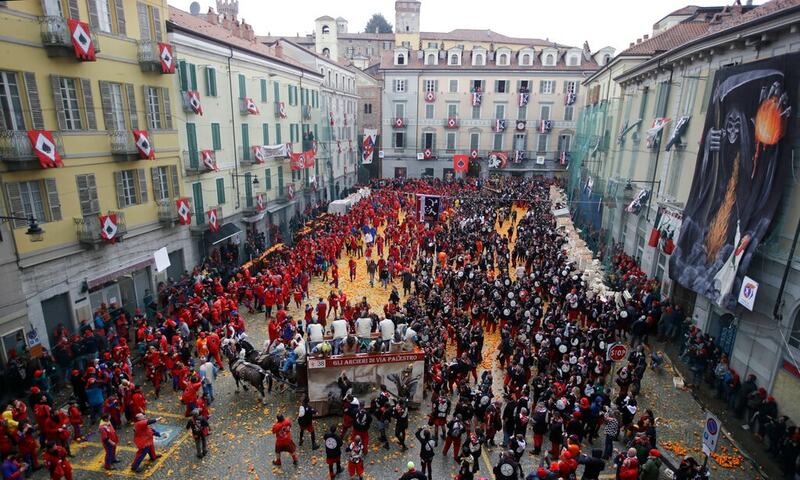 Famous in all of Italy and, above all abroad is the Carnival in the Piedmontese town of Ivrea (Province of Turin). 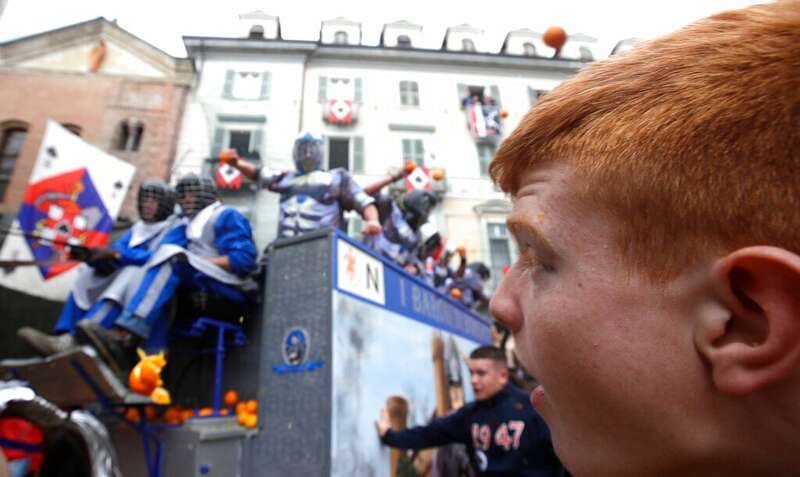 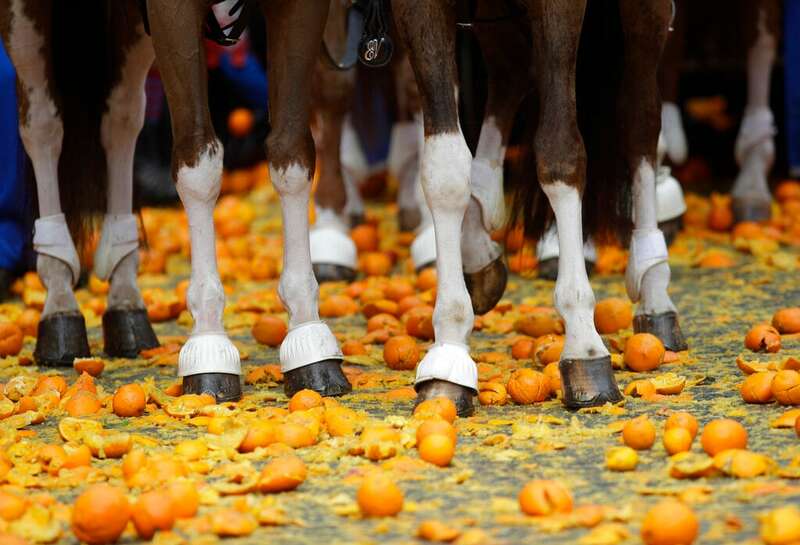 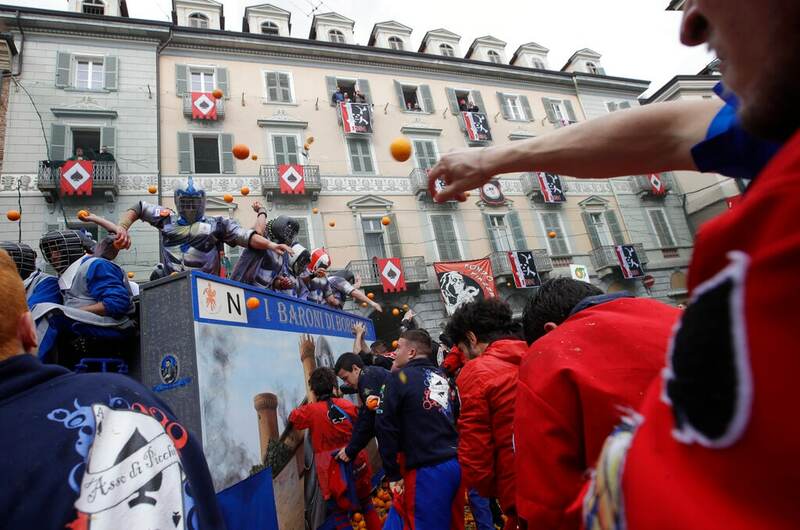 Established in 1808, the Carnival of Ivrea is one of the oldest and most particular festivals in the world. 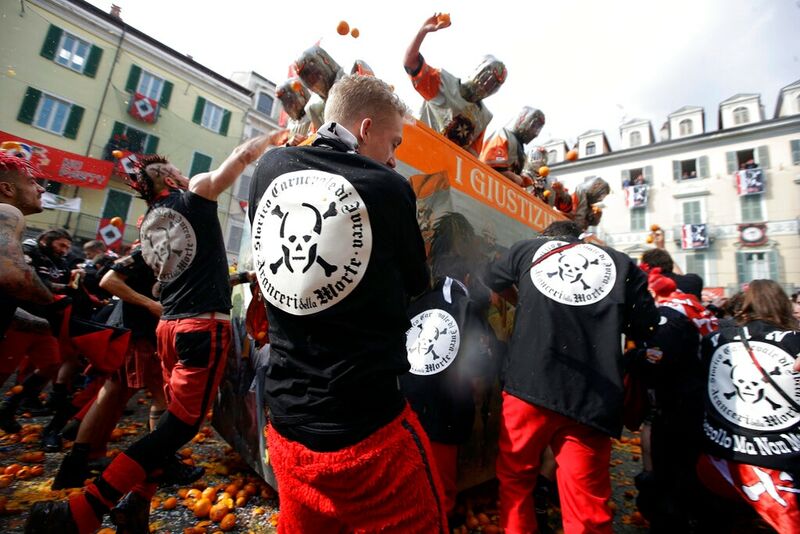 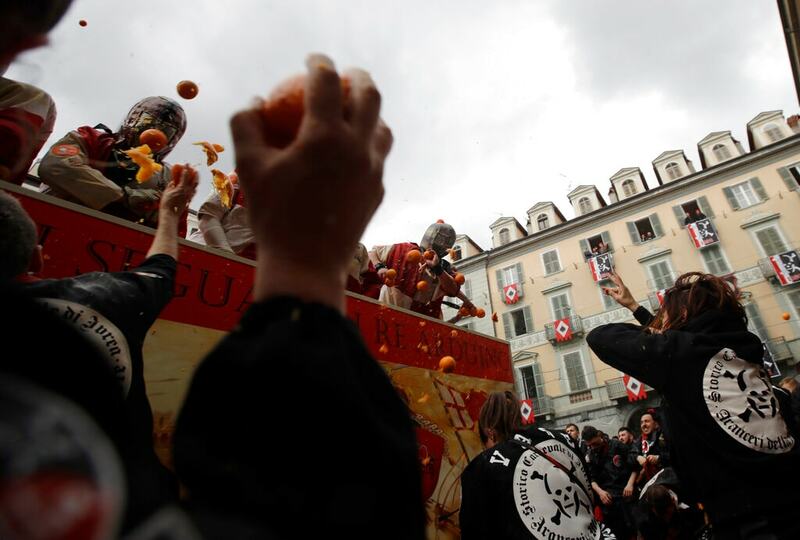 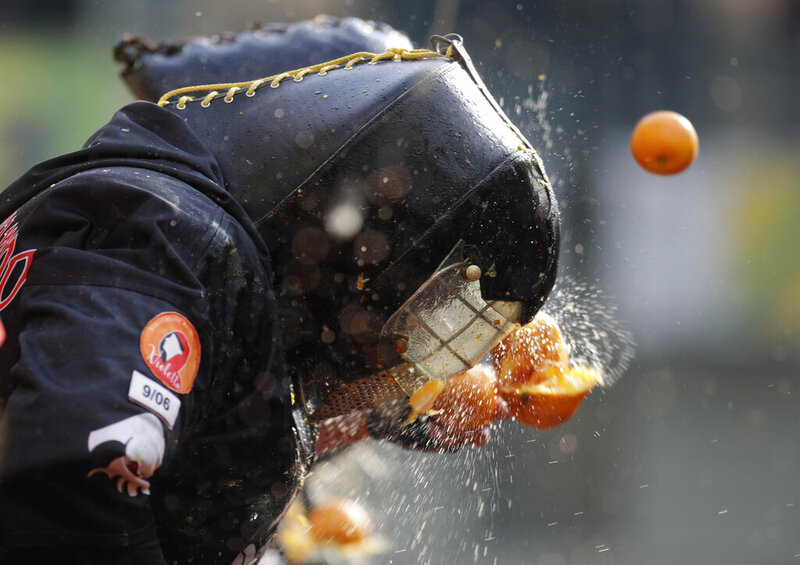 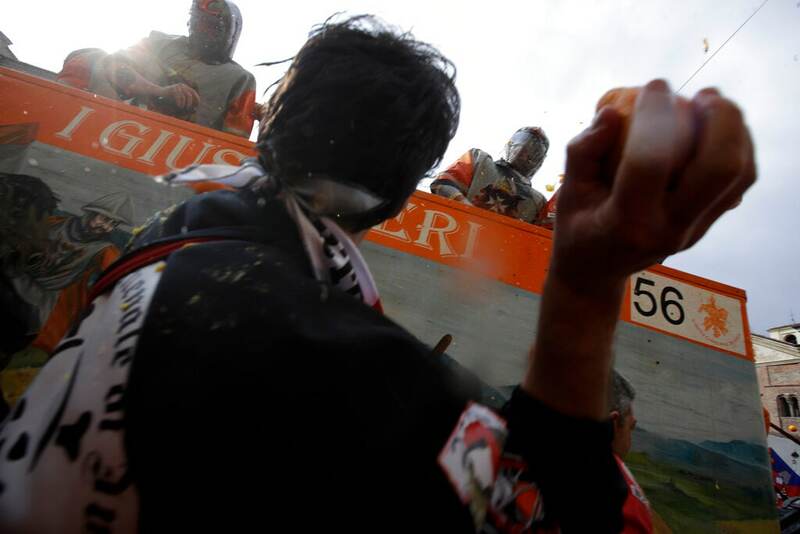 It is the 'Battle of the Oranges' that re-evokes the civil war that broke out between the people of Ivrea and the Royal Napoleonic Troops the day after the murder of hated tyrant Raineri di Biandrate (it was the Mugnaia who slew him!). 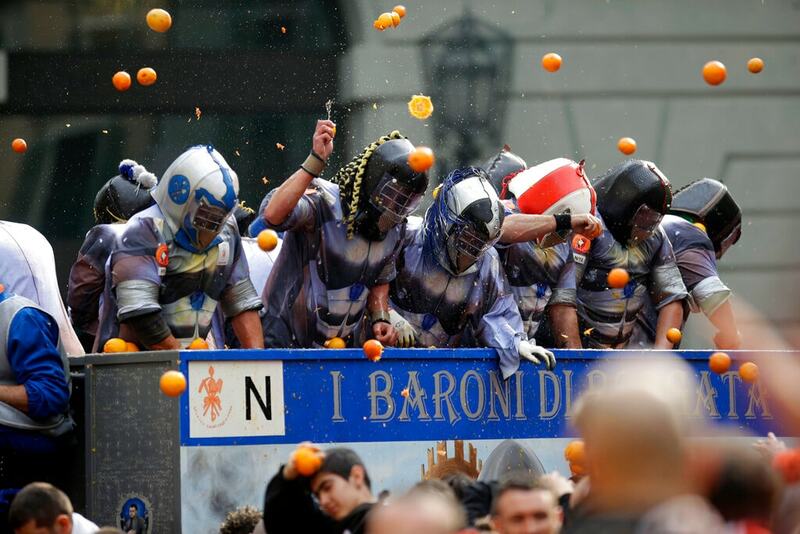 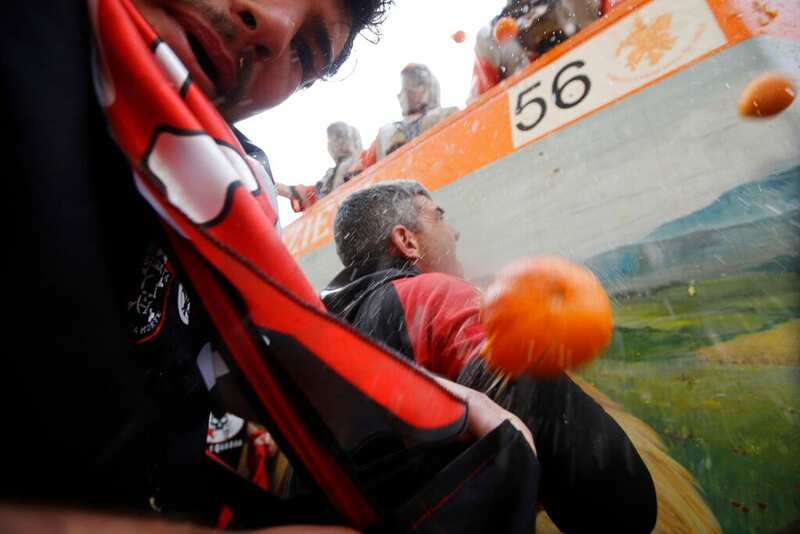 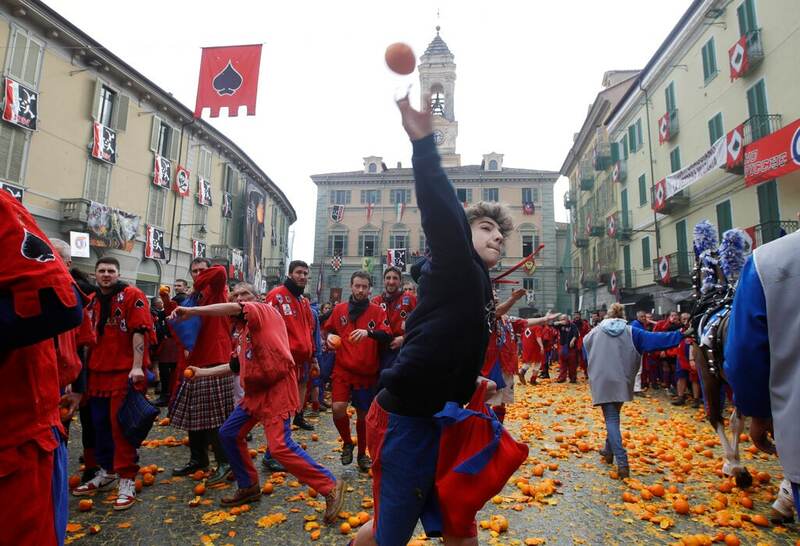 The battle is made up of squads of aranceri or orange throwers on foot (representing the people) and defending their piazzas from those throwing the oranges (that represent arrows) from carts (representing the Napoleonic troops). 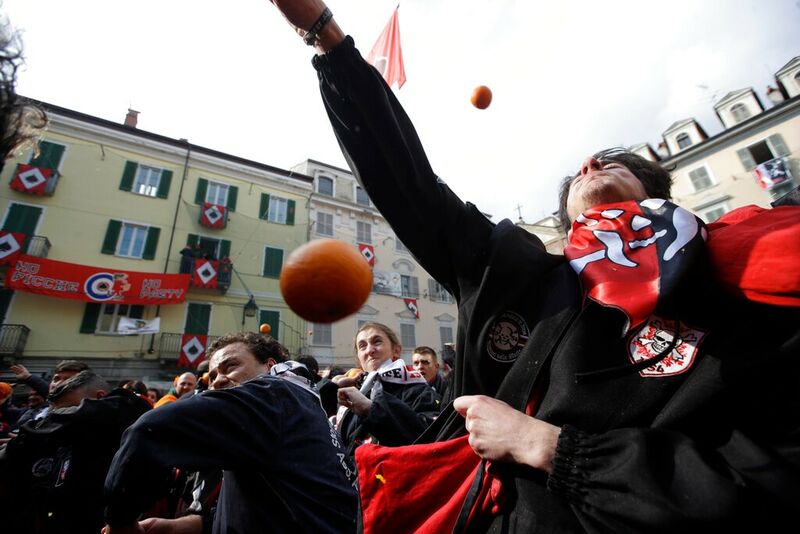 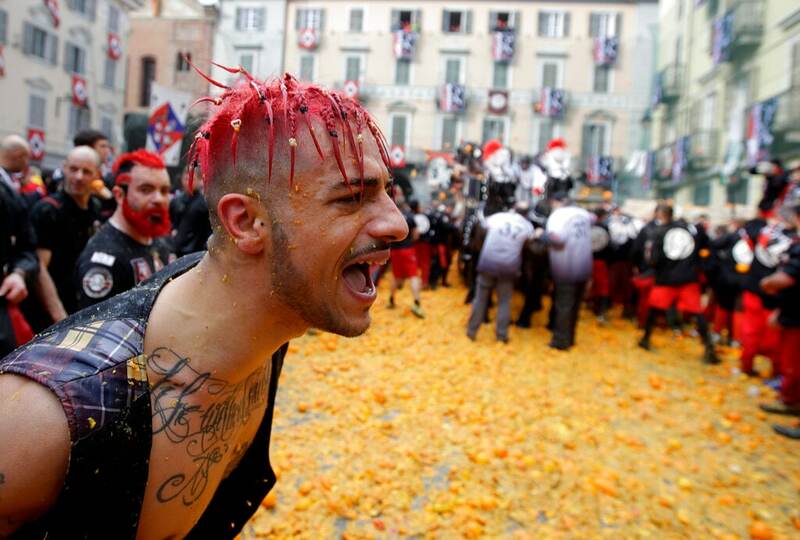 Meanwhile, through the streets of the city, the Mugnaia and her cortège distribute sweets and presents to spectators. 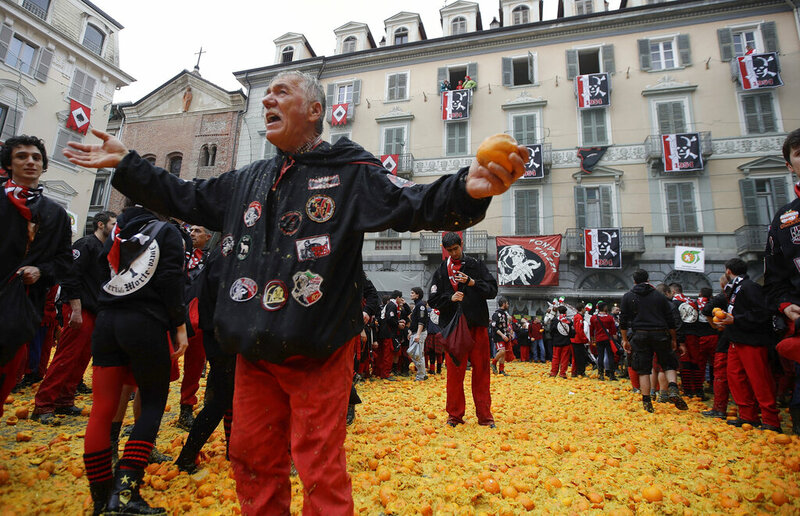 Then, the traditional procession through Ivrea’s streets includes floats, folkloristic and musical groups that come from all of Italy and all of Europe.